Click the Orange Arrow to find out more specifics, and when you might just need ComputeRx's software services! A new computer out of the box will probably come with software that you would never use, also called bloatware. Even if you don't use this software there may be processes running in the background associated with that software that are still actively using system resources. Software that you do actually use will also have processes that run in the background, without you actually actively using it, and will still get loaded when you go to boot your computer. Most of these can be disabled from starting up every time you boot your computer, and the program will still run correctly when you go to run the program. By default, with Windows, there are a good amount of services that can be turned off. Some are for networked/business environments that have an on site dedicated server. Others may be just features that you do not use. Some applications are inherently system intensive, these applications are known to have what is called a "large footprint". An autocad application will have a large footprint, because of the number of calculations, and graphics that are involved. 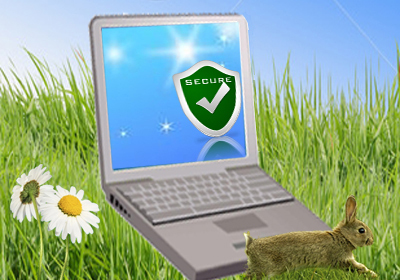 However a lot of poor antivirus systems fall under this category, and can bring a decent equipped system to a crawl. How many processes are running? A typical Windows XP machine should have about 42, for Vista & 7 about 50. This is with active antivirus running, updates and the necessary windows processes. How much ram is free? This will vary with how much total system ram there is. In a system with 2gb of ram, with no active application windows open, if less than half of that is showing up as available, then the amount of processes running should be dealt with. Also, it could be that only one large footprint, poorly written, or not running correctly application is utilizing most of the ram. What is the total CPU usage? If the cpu usage is constantly pegged at 50% or more then those processes that are constantly using the cpu should be looked into as they may not be running correctly. A working knowledge of what to turn off and what not to is needed; not all services can be disabled. ComputeRx provides this for its Speed-UP service. There are many tools and "magic" services out there that promise to fix and deal with all these common issues. I would advise against most of them as many of them leave your system in a worse state. They will either not address the underlying problem at all, or actually delete too much from your system making it in an unstable/unusable state. I would instead advise to bring it in to a reputable computer service company such as ComputeRx. 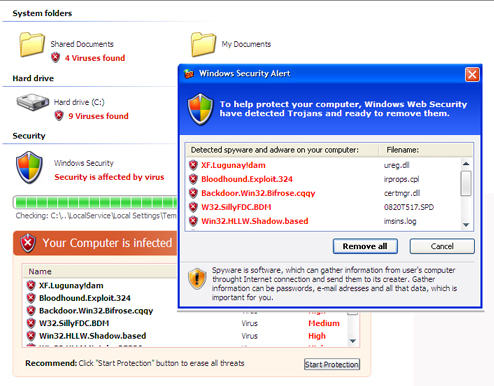 A good website that depicts many of the scareware viruses can be found HERE. An excellent tool that can help to get rid of Scareware is called Malwarebytes AntiMalware & it can be found HERE . 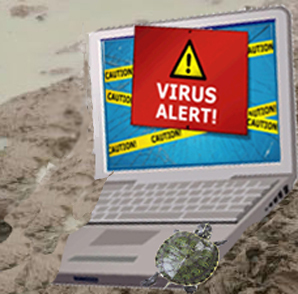 The new "trend" with computer viruses can be grouped into a category called Scareware.The first signs that your computer is infected with Scareware are annoying , persistent pop-ups that are telling you that you have viruses or hardware errors. 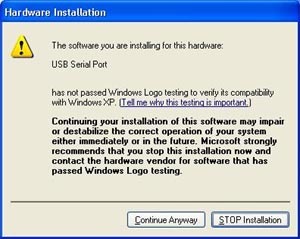 They usually will have a fake scanner that is no more than a video of sorts that looks like it is actually scanning your system in real-time, "finding" thousands of viruses or issues with your computer. They then present themselves with some way to pay for the program that pretends to get rid of the viruses or fix your system via a credit card or going to a specific website. This Scareware is a virus in itself, do not ever give out your credit card info and fall for the scam ! Some of the nastier viruses out there can make it near impossible to run tools such as Malwarebytes, as they will block your internet access, hide everything on your computer, and make it very hard to run any program at all. Also, some are very well hidden and their goal is to remain undetectable such as the case with root kits. 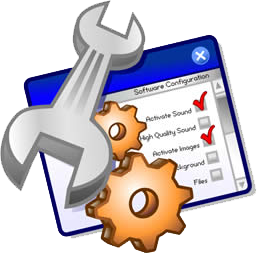 Most times the best remedy will be to backup everything, wipe and then restore the system ,and finally set it up so such viruses do not infect the system again (in addition to the user being informed of the importance of keeping things up to date and to be careful with where they are downloading from and links/sites they click on). 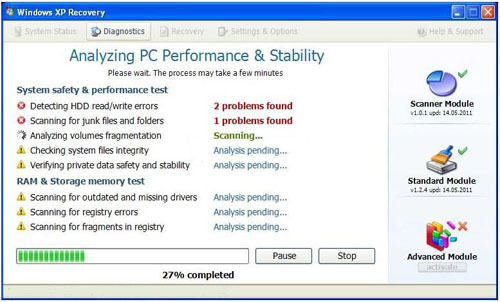 This is explained in ComputeRx's System Backup and Restore service in the next section. Once the system is restored it is still crucially important to keep your system up to date with Windows,Antivirus,& Adobe Reader. Adobe Flash, and Java Runtime should only be installed if needed. If you see that one of those in particular needs updates (usually by a pop-up by the system time), don't ignore them,these updates are usually security reason based. The rest includes scanning any downloads BEFORE opening them, and being very careful with clicking through links from emails and social networking sites.